A transport manager has been disqualified for not carrying out the very basic tasks required of a transport manager such as setting up systems to monitor and record drivers hours, specifying the vehicles on the companies O’Licence and managing of the O’Licence discs. The transport manager admitted to not undertaking any form of training since he qualified as a transport manager 22 years ago!! The Traffic Commissioner who has disqualified the transport manager has stated that the failings of tasks not carried out correctly are the full responsibility of the Transport Manager. 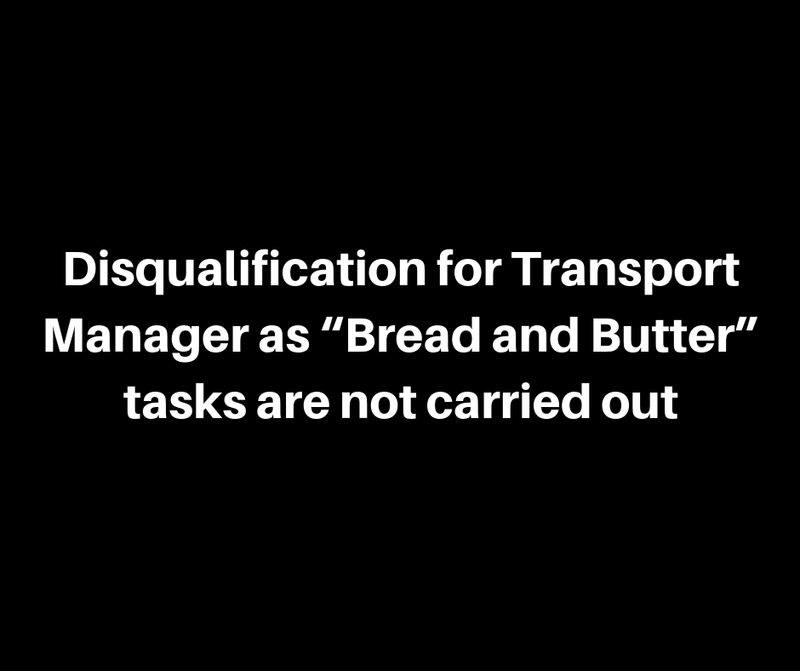 The disqualified transport manager will not be able to undertake any work as a Transport Manager in the future until he re-takes and passes the Transport Manager CPC Course and Examinations. This is a strong message sent out by the traffic commissioner that they are not going to allow Transport Managers to continue in their roles if ongoing training is not undertaken. 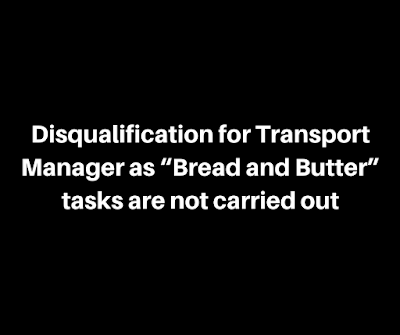 In addition to the Transport Manager being disqualified the operator also had fallen short of his O’Licence obligations. The operator ( O’Licence Holder ) had no formal contract with the transport manager so there was no genuine link between the licence holder and the transport manager, which in turn showed the licence holder did not have professional competence and for a standard licence holder that is a mandatory requirement. Furthermore to the above after a DVSA investigation it found the company did not have a company card to download the vehicle units and the traffic Commissioner had not been notified to a change of maintenance service provider. This is why it is important that licence holders are fully aware of the duties of what their transport manager is required to do.